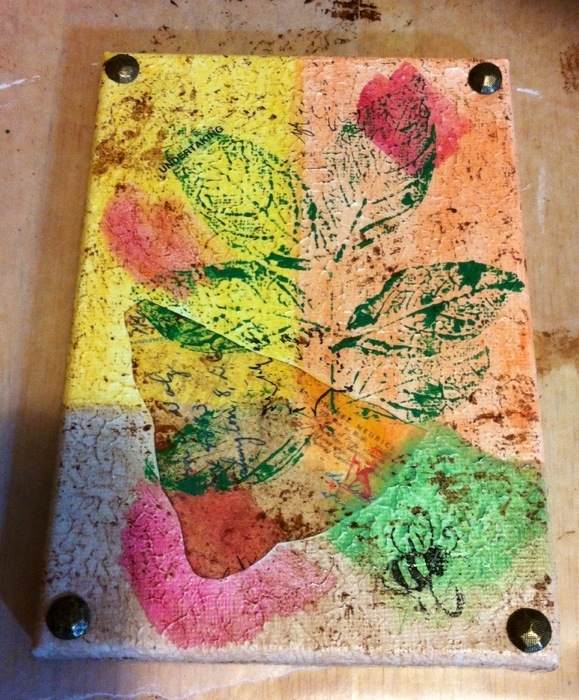 Today I tried my hand at creating some mixed media art. This is only the second time that I’ve ever made any mix media wall art. I am really happy with how they turned out. I used a couple small pieces of scrapbook paper, gesso, watered down acrylic paint, a few words cut out of an old dictionary, couple of stamps and ink, antiquing gel, decorative tacks, mod podge, and leaves off a few plants. 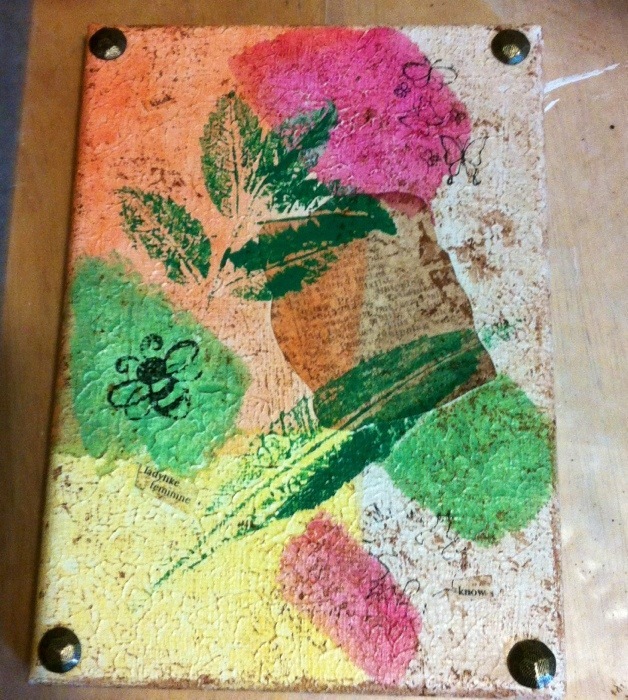 I painted the under side of the leaves with green paint then placed them paint side down onto canvas to transfer the the leaf imprints onto the canvas. I had planned on making them and listing them in my shop. 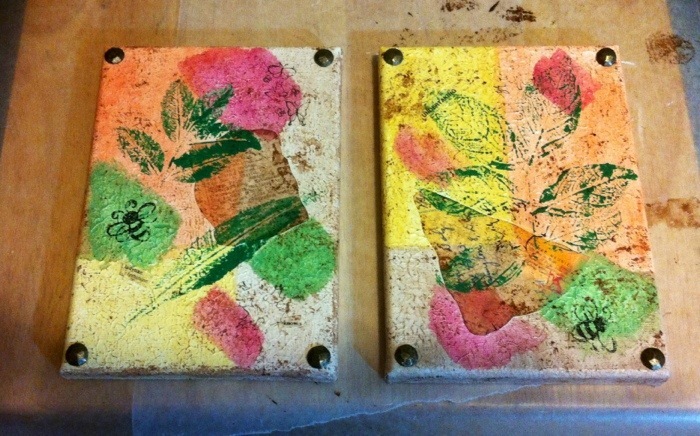 But my hubby really liked them and wants to hang them in our master bath. So we will see. 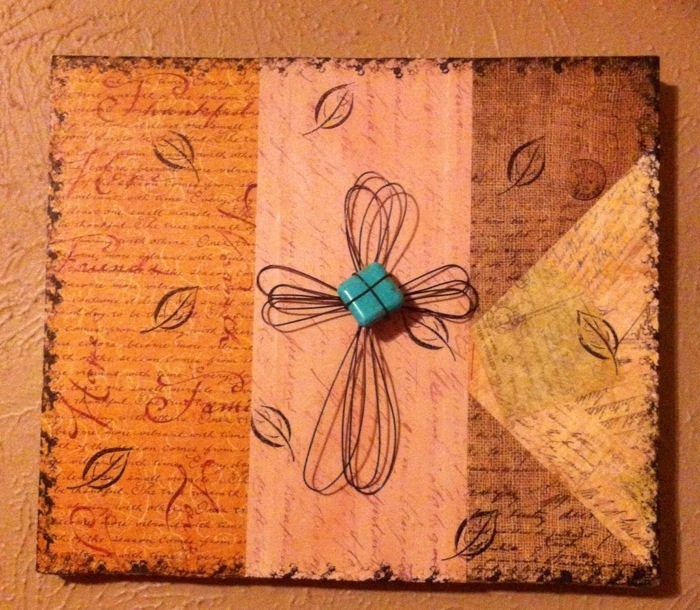 Here is the previous mixed media wall art I had made.